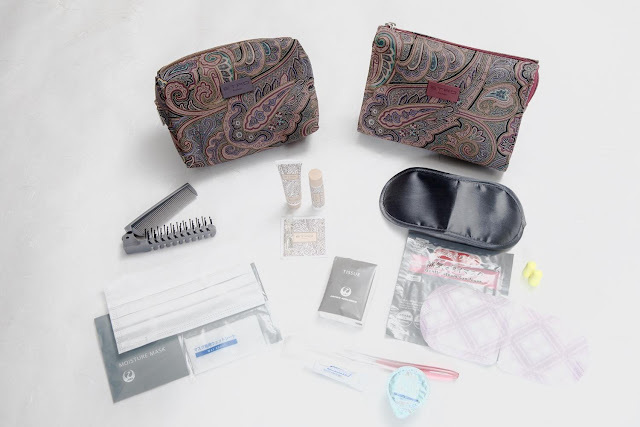 New JAL First Class amenity kits designed by ETRO. Image by Japan Airlines. Japan Airlines (JAL) will switch to a completely new amenity kits lineup from end of February 2018. ETRO, an Italian luxury brand, will be featured in the international First Class amenity kits on both outbound and inbound flights, as well as the international Business Class kits on the outbound flights (i.e. flights from Japan). For flights flying into Japan, the Business Class amenity kits will be designed by Tatsumura Textile, a famous manufacturer in Kyoto. Since the last big renovation, Japan Airlines (JAL) has been providing complimentary massage service at its First Class Lounges at both Tokyo Haneda (HND) and Narita (NRT), and Sakura Lounge at Narita. Lounge visitors are eligible to receive a 10-minute massage service provided by a therapist and can choose to focus on one of the three areas: upper body, feet, and scalp. Even though it is a very popular service and most of the time there is a long wait for it, JAL has decided to discontinue this relaxation service from October 1 2017. 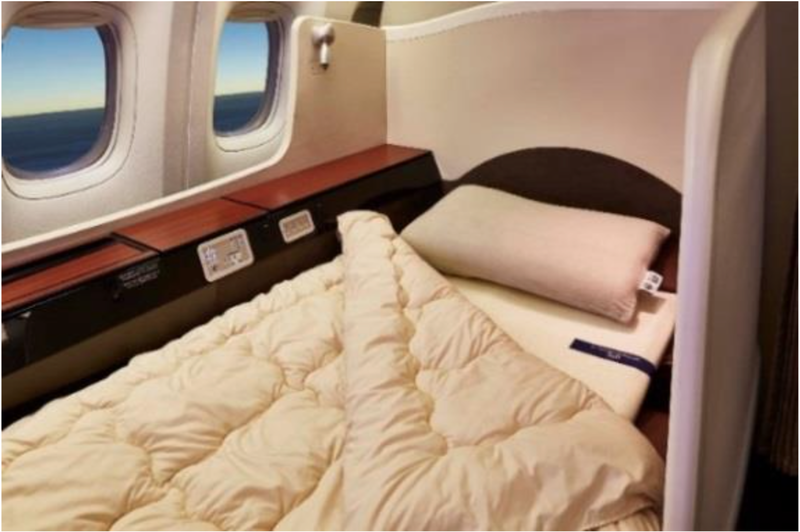 JAL will use all Airweave bedding products in its intentional First Class. Image by Japan Airlines. Japan Airlines (JAL) has introduced Airweave comforter on international First Class from July 1 2017. The new comforter will compliment the existing Airweave DUAL MODE mattress pad and Airweave Pillow S-LINE to provide First Class passengers one of the most comfortable sleeps in the sky. New JAL business class amenity kits design. Image by Japan Airlines. 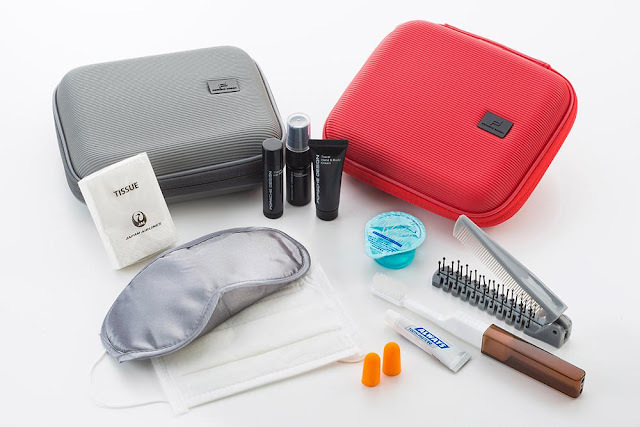 After updating its first class amenity kits, Japan Airlines (JAL) has updated its ZERO HALLIBURTON business class amenity kit design recently. 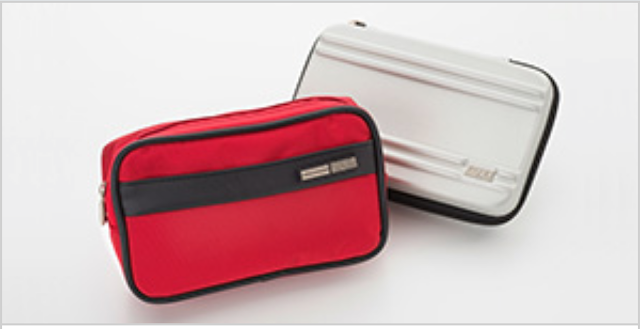 New JAL First Class amenity kits by Porsche Design. Image by Japan Airlines. Japan Airlines will roll out brand new First Class amenity kits by Porsche Design from March 28 2017. The new kits will come in 2 different colors with red one being offered on outbound flights with the grey one being offered on inbound ones. Japanese news site Nikkei.com interviewed with Japan Airlines (JAL) President Ueki earlier and asked him about JAL's strategy regarding its US operation after launching Los Angeles - Osaka Kansai route on March 20 2015. Ueki confirmed that JAL is studying the resumption of the Tokyo - Dallas DFW route. The renovated international Sakura Lounge at Osaka Kansai Airport. Image by Japan Airlines. 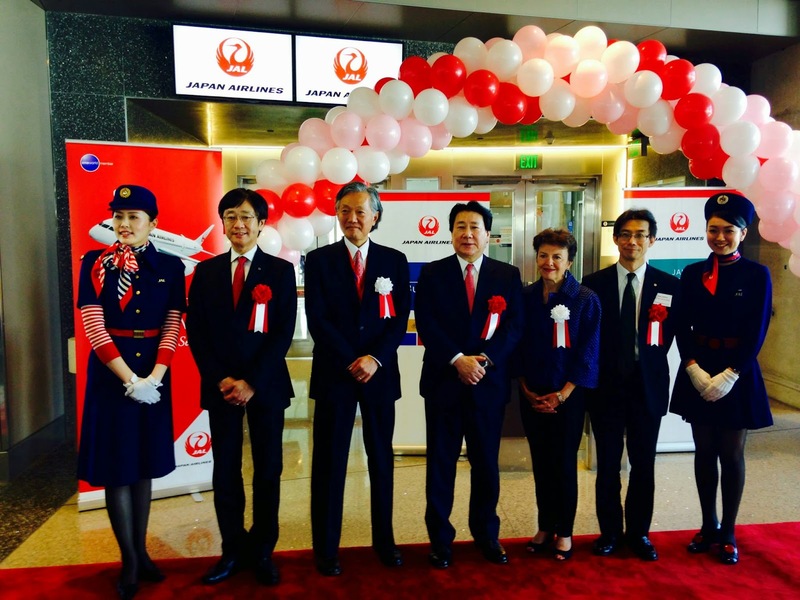 Japan Airlines (JAL) will enhance the lounge service at Aomori Airport and Osaka Kansai Airport in the coming months. 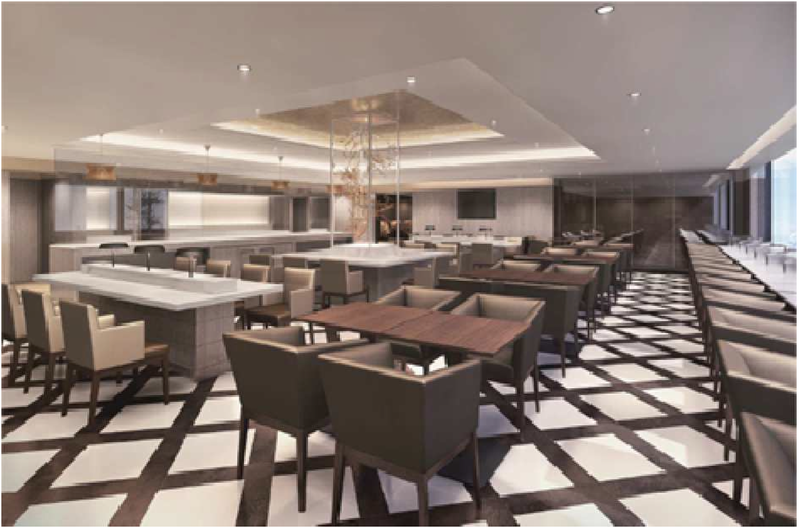 For Aomori Airport, JAL will be using a 3rd party operated lounge while at Kansai Airport, JAL will renovate its existing international Sakura Lounge. AIR MOS BURGER★JAL SPECIAL. Image by Japan Airlines. 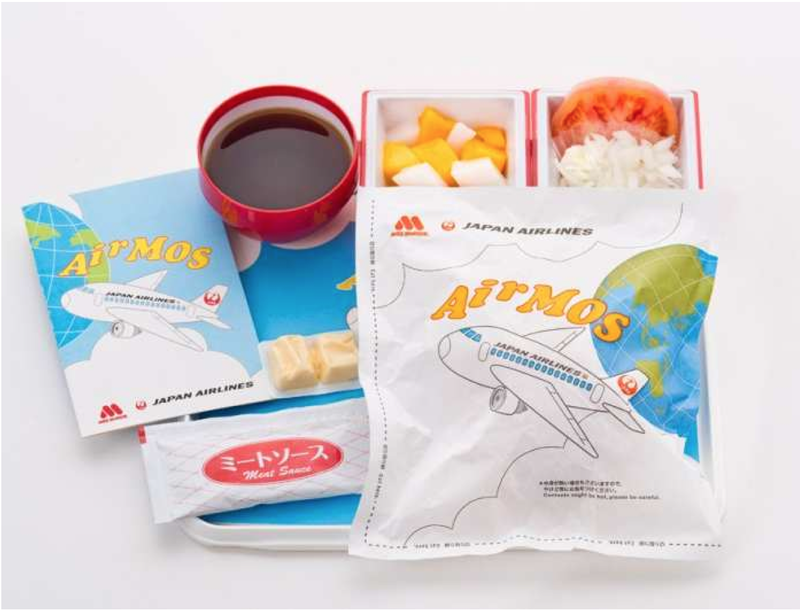 Japan Airlines (JAL) will once again collaborate with Japanese burger chain MOS BURGER in its latest installment of the popular AIR SERIES, a special Economy Class and Premium Economy inflight meal which JAL collaborate with well-know restaurants and food chains. This will mark the 5th collaborate with MOS BURGER and JAL says this should be the most popular and classic hamburger since MOS BURGER was founded! JAL Cargo violates trade regulations in Korea!?! ?